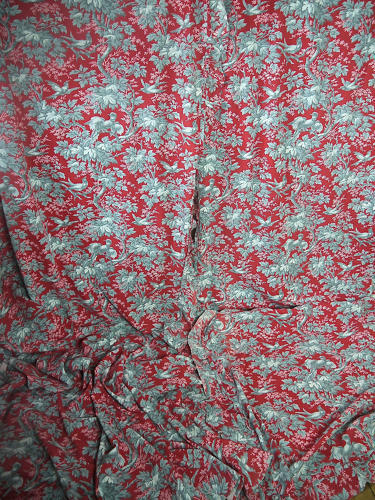 A lovely pair of Fren Napoleon III circa 1870s cotton curtains with an allover design of grey birds and foliage on a red ground.Finished with frilled edges. There is a seam going across one of the widths and some sun damage to the lower part of the frijoles. Wonderful to find a pair of curtains with a fresh feel and of a good size.